Fatal Pictures To Release Body Horror Short FAMILIAR. 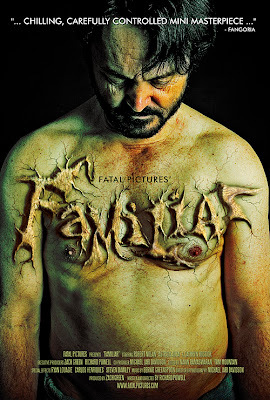 Fatal Pictures, the company behind the festival touring short WORM, are bringing you a new body horror short titled FAMILIAR. I don’t know much beyond the images and poster, but what I can tell from this makes me want to see it. That poster alone is one of the better I’ve seen for any horror release this year. Read full article here.